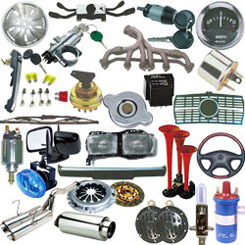 Automotive Trade Supply Ltd. has been serving Kitchener-Waterloo for 40 plus years. We have two convenient locations, one on Hoffman St. and the other on Lancaster St. allowing our customers to have the fastest possible service. Our Lancaster St. location (formerly Speedy Brake and Clutch) machines flywheels, rotors and drums also specializes in brake parts for cars, light trucks, and trailers including electric trailer brake controls. We are a member of Uni-Select Inc., which is a multi-national warehouse chain with locations across Canada and USA. We focus on national brands such as Moog, Raybestos, Beck/Arnley, Walker, Wix and Monroe. 250 different lines of product are available when you call our order desk professionals. Our stock includes suspension, engine, air conditioning, body parts as well as all your oil and coolants needs. In addition we provide online training courses from the Canadian Automotive Repair and Service Council. We also carry a complete line of tires including brands such as Hercules, Cooper and Kumho. Along with our tires we carry steel rims in stock and have next day availability on aftermarket alloys. We also supply valve stems, TPMS sensors and hardware plus equipment including tire changers, balancers, hoists, computerized diagnostic equipment and more. Everything you need right down to toilet paper is available by making one call to us. Copyright © 2013 Auto Trade Supply. All Rights Reserved.